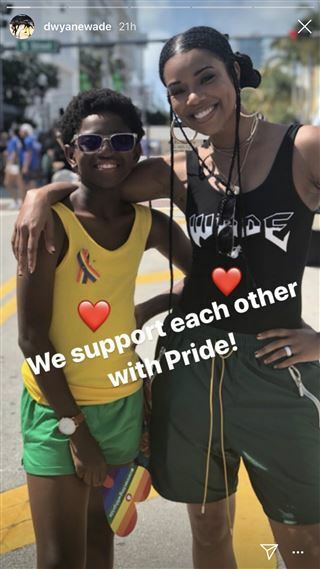 Thousands of people turned out for Miami Beach Pride last Sunday, which included a parade, festival, live entertainment, and appearances by headliners Icona Pop and Tito Puente Jr.
During the festivities, NBA star Dwyane Wade of the Miami Heat shared his public support for his 11-year-old son, who was in attendance. 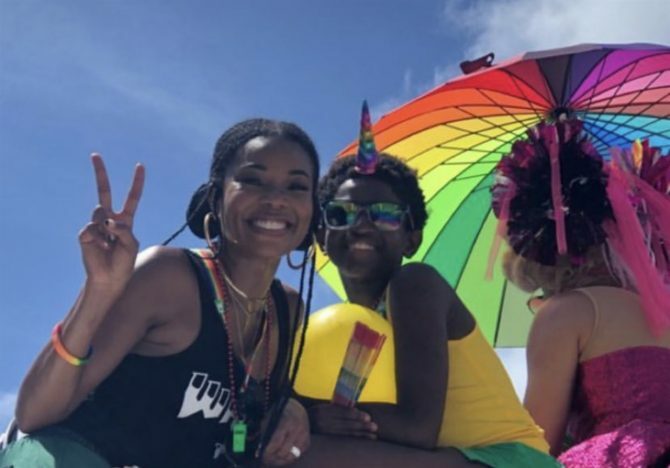 “We support each other with Pride,” 37-year-old Wade wrote in an Instagram post featuring his 11-year-old son, Zion, alongside Wade’s wife, actress Gabrielle Union. He also included a rainbow pride flag emoji. Zion rode a float during the Pride parade, along with his stepmom, his big brother, Zaire, and younger sister, Kaavia. Naturally, this had Twitter feeling all the feels. Remind me to download a few Gabrielle Union movies for the purchase not the rental price. Good for them. Absolutely beautiful story. I also love how Dwyane Wade and Gabrielle Union supported little Zion when he walked in a fashion show. It had some online homophobes freaking out, but many more people cheered him on and also praised his loving parents. This reminds me of the attitude of my nephew. He’s a Secret Service Agent who has said that he thinks one of his sons might be gay. His response: “I just want him to be happy, regardless of whether he’s straight or gay. My love for him is unconditional.” He’s the future.